When "Jeff," a fictionalized drug representative, is placed on the Vioxx® account in 2001, he finds himself pulled between sales and science as he struggles to reconcile three original documents: a Merck marketing pamphlet, a graph from a scientific journal, and a confidential internal bulletin. As students work through the case, they must interpret scientific data, consider ethical issues related to the pharmaceutical industry, and learn why Vioxx, a wonder drug, was taken off the market. 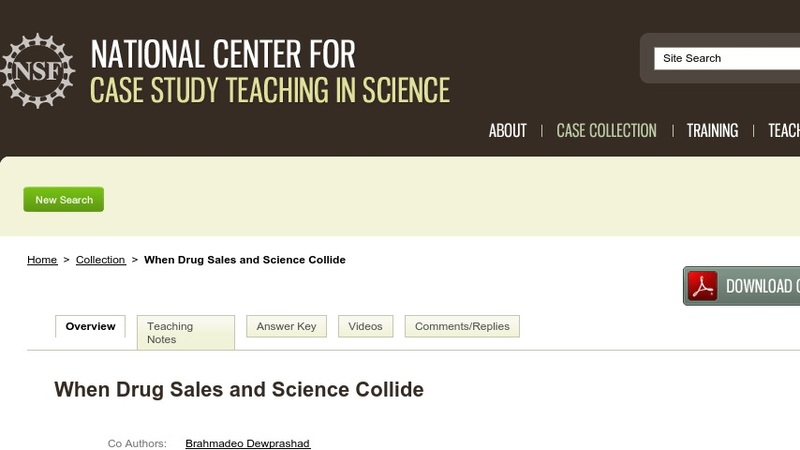 This interrupted case is appropriate for advanced high school students and first-year college science majors and non-majors.